Lehane Environmental is always ahead of our competition. 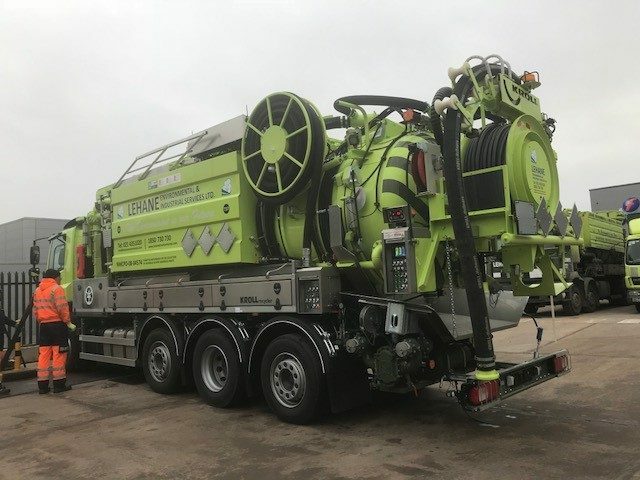 Utilising Best Available Technology (BAT), our Recycler Combination Units recycle the dirty water they collect whilst jetting pipelines and passes it through a patented cleaning process where the same water is then reused for jetting the lines. This offers both savings in resource usage (water) as well as higher efficiencies as it enables the Recycler Combination Unit to work continuously without having to stop to travel for water refills. The Recycler Unit is manufactured in Stainless Steel and has an internal tank wash system enabling a wide variety of chemical wastes to be also loaded/transported.